Who is Great Florida Lending, Inc? Quien es Great Florida Lending, Inc? de acuerdo a las caracteristicas de un solicitante. Who is Juan Luis Rodriguez-Kohly? 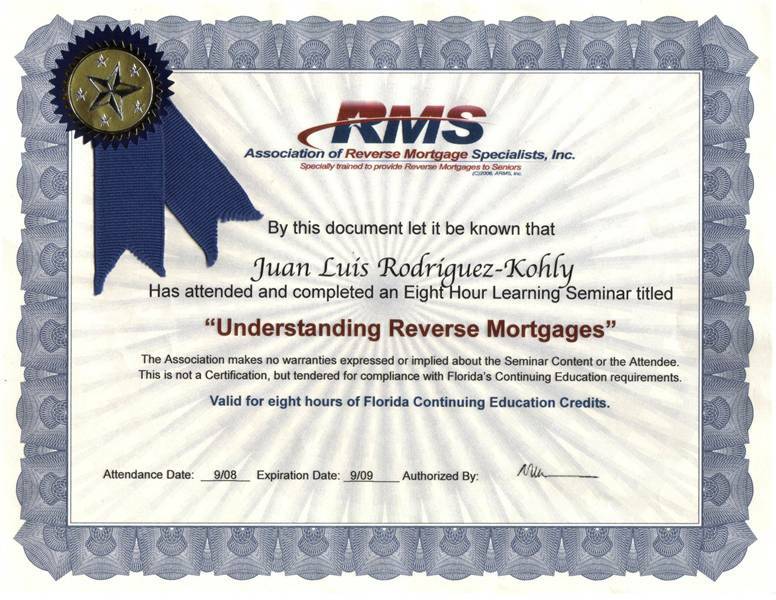 Born in 1940, Juan Luis has been a Florida Licensed Mortgage Broker and Loan Originator specializing in Reverse Mortgages since 2005. He has a Reverse Mortgage on his own home and sincerely believes that, for many, a REM is a safe and trustworthy solution. As a senior and a REM borrower, Juan Luis understands the needs and situation of many seniors face today. He understands you. Talk to him last!